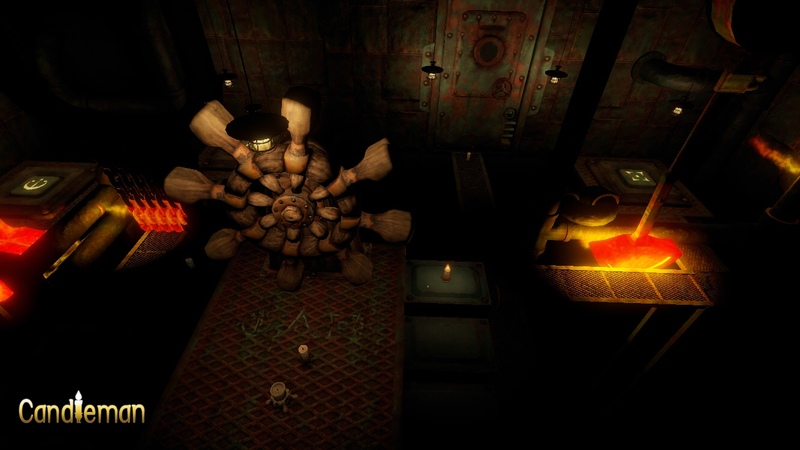 Let me get the obvious out of the way — Spotlightor’s Candleman is a breathtakingly beautiful game. Even though you will spend some time in the dark, when the environments are illuminated, it’s almost impossible not to gasp. When it was first advertised for consoles last year, I was blown away by the trailer, but I didn’t have any expectations of it coming to iOS. Then, when it showed up a couple of months back on the App Store as a pre-order, I was excited but also a bit worried due to the terrible English translations in the description, videos, and images. Thankfully, my fears were unwarranted. The in-game text and voiceovers have been perfectly fine so far, and there’s isn’t that much text to begin with. The narrator is also a woman with a British accent, so I probably wouldn’t have noticed if there were poor translations. 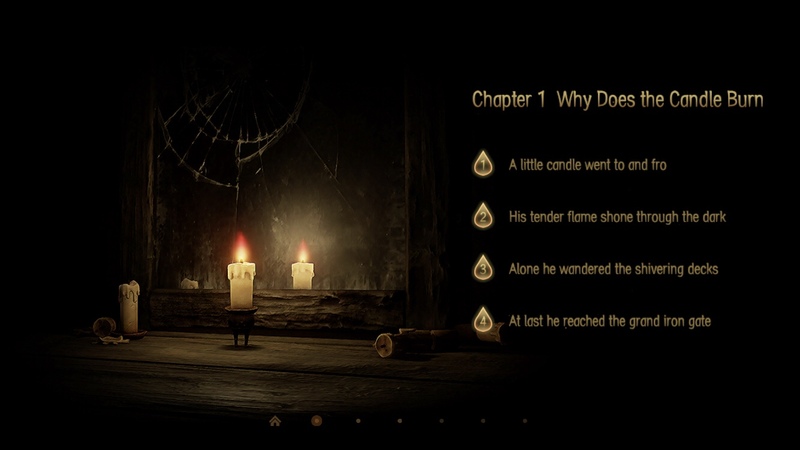 The other text in the game are primarily the level titles, which describe Candleman’s journey. Like I said, much of your time will be spent in the dark. This is because you play a candle with feet who can only survive ten seconds of burning. In each level, your goal is to make it to the glowing blue orb at the end, lighting as many candles as you can on your way. So far, I’ve made it through most of the third chapter. I’ve missed a few candles on some levels, while managing to find them all on others. I’m not sure what the reward is other than a personal sense of satisfaction, but maybe that will become clear later. The controls, thankfully, are not on-screen buttons, but instead you have an invisible joystick on the left side of the screen for moving and you swipe on the right side of the screen to jump. While not as good as a controller — especially since it can be difficult to walk in a straight line in the dark without a physical joystick — it hasn’t been too much of an issue yet. My main problem has been that you tap the right side of the screen to light Candleman, which is both how you light other candles and how you can temporarily see your surroundings if there’s no other light source. I often end up lighting him when I’m jumping, as it’s hard to separate the two, leading to wasting precious light. 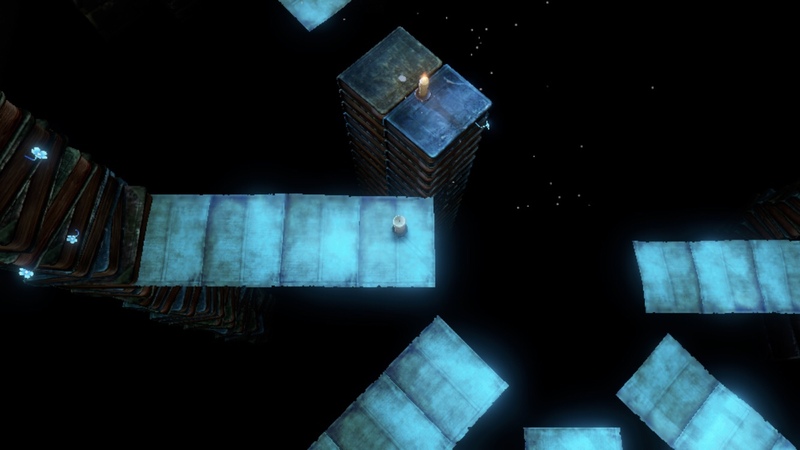 To be frank, I wasn’t super thrilled to find out that Candleman is very much a platformer. I thought it would be more of a a puzzle adventure game. I’m not a big fan of platformers, especially the jumping over gaps. And there was a point here where I almost gave up because I kept missing a jump over a moving platform, which resulted in death and having to make my way back to that spot for another attempt at it. It wasn’t so much the dying that bothered me, as having to repeat the section I had no problem with just to have another shot at the troublesome gap. That said, the game is surprisingly forgiving. If you die from a fall, a trap, or simply running out of wax, the game will set you back at the last checkpoint. There’s no way of telling where these checkpoints are, so it’s not going to be clear when it’s safe to die. But the nice thing about it is that any candles you lit before dying will stay lit, even if they’re past the checkpoint where you get respawned. I don’t know if this is specific to the iOS version to make up for the touch controls or if it was always like this, but I appreciate it as someone who’s not particularly good at platformers. There are also some puzzles to solve, both for accessing certain candles but also to open locked doors that block the exit. They start off simple, but the deeper you get, the more moving parts they involve. I’m glad to see these more puzzly aspects to the game, and I hope they remain enjoyable. The last one did start to get a bit tedious with its backtracking. Overall, I’m impressed with the game and enjoying it enough — especially the visuals — to stick with it despite my dislike of platformers. I also appreciate that they included iCloud sync and a photo mode that lets you pause and then move the camera around to get just the right shot. I should mention, though, that I heard This isn’t the full game, that more of it will be released later. I don’t know when we’ll see the rest or if it will cost extra, but I’ll be sure to update you with my final impressions once I finish the content that is available. Until then, you can watch some of my gameplay videos below to see if it looks like something you’d enjoy. UPDATE: I continued playing and the game gets very frustrating due to the touch controls and unforgiving checkpoints. You can see my ragequit on Part 5 of my gameplay videos. UPDATE 2: The game stayed paused and in my iPad’ memory, so I went back and started at the floating crates section that was giving me trouble. I passed it and am now a good way through Chapter 5! It’s still stressing me out here and there, but it’s such a gorgeous game so I’m trying to stick with it. I don’t know if I’ll want to go back and collect any candles I missed, but I’ll see if/once I complete the current content. Anyway, I added more videos below. UPDATE 3: I almost gave up in Level 2 of Chapter 6 because of a really hard platforming puzzle that required both speed and skill. You can see me battling with it in the 10th video below. But I persisted off-camera and made it through. I then recorded the last level of the current content and am looking forward to more when they add it. It does have it’s frustrating moments, but overall I enjoyed the game. Candleman is certainly a gorgeous game. However, I very quickly grew very frustrated by the wonky Ipad controls. Maybe a console controller might help with this control problem? Don’t know, as I’m not going to also buy the console version just to test out this hypothesis. So, I have to say that these control frustrations are enough to NOT recommend this game for anyone other than OCD adults determined to get through the game, while unnecessarily dying because of the bad controls. Over and over and over again. Yeah, after playing some more, I have to agree with you. Chapter 3, Level 3 is way too frustrating with these controls. I got past the annoying part I was stuck on and it gets sooooo pretty! I completely disagree…I feel the controls are fine and work for me perfectly; and honestly found the game quite easy to beat (I almost wish it was a little more challenging so it would have lasted longer). I think this game is a definite recommend. The game only just came out as well, the devs have stated they are going to continue to do updates/optimizations for a better experience.